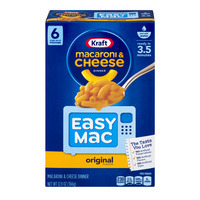 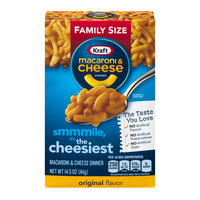 Kraft Macaroni And Cheese Is A Pantry Standard! 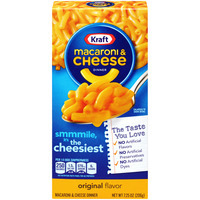 Kraft M & C is very reasonably priced, making it a favorite for budget minded people. Milk, Butter and Macaroni...how can you go wrong? 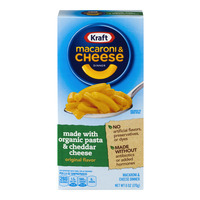 Macaroni & Cheese has it's origins in Italy. That's where it came from! 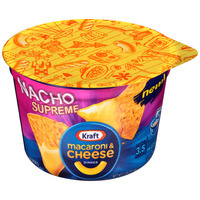 The dish is totally Italian. There's a story that Thomas Jefferson went for a visit to Italy back in the 1700's, loved the dish and brought the recipe back to Virginia with him. 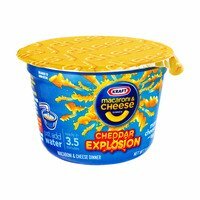 The bottom line for me that this cheese mac is really, a very American adopted dish, tasty and cheap eating! "Per Package: 220 Calories, 2.5g Sat Fat, 700mg Sodium, 3g Sugars." 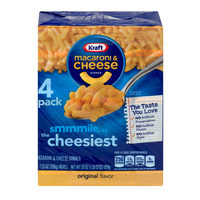 "Per Package: 220 Calories, 2.5g Sat Fat, 530mg Sodium, 4g Sugars." 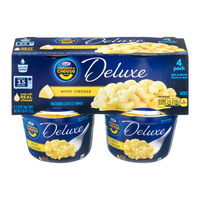 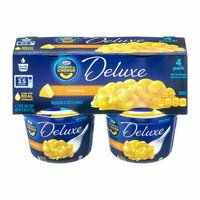 "Per Container: 220 Calories, 2g Sat Fat, 490mg Sodium, 6g Sugars." 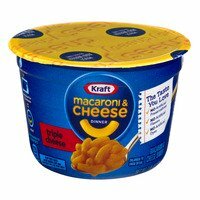 "Per Container: 220 Calories, 2g Sat Fat, 530mg Sodium, 5g Sugars." 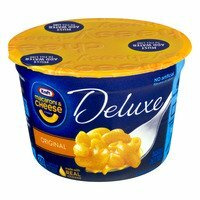 "Per Container: 220 Calories, 2g Sat Fat, 480mg Sodium, 6g Sugars." 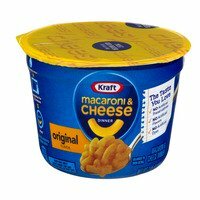 "Per Container: 430 Calories, 4g Sat Fat, 1050mg Sodium, 12g Sugars." 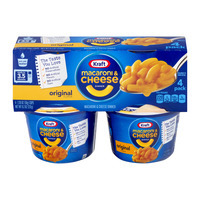 "Per Container: 430 Calories, 4g Sat Fat, 1060mg Sodium, 12g Sugars." 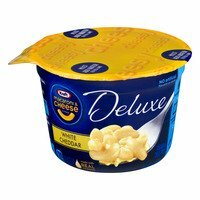 "Per Container: 210 Calories, 3g Sat Fat, 490mg Sodium, 6g Sugars." 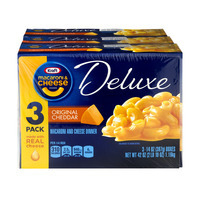 "Per 1/3 Box (Unprepared): 250 Calories, 1.5g Sat Fat, 580mg Sodium, 6g Sugars." 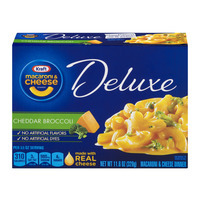 "Per 1/3 Box (Unprepared): 260 Calories, 0.5g Sat Fat, 570mg Sodium, 8g Sugars." "Per 1/3 Box (Unprepared): 260 Calories, 1g Sat Fat, 600mg Sodium, 7g Sugars." 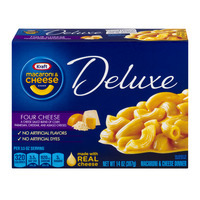 "Per 1/3 Box (Unprepared): 250 Calories, 1.5g Sat Fat, 570mg Sodium, 6g Sugars." 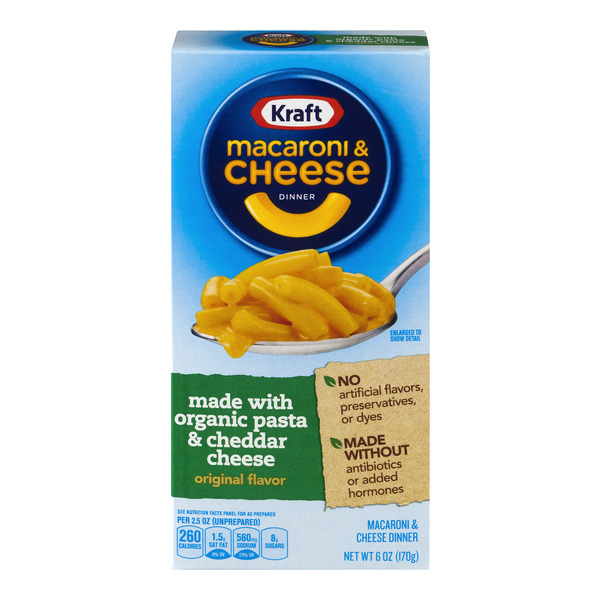 "Per 2.5Oz (Unprepared): 260 Calories, 1.5g Sat Fat, 560mg Sodium, 8g Sugars." "Per 1/6 Box (Unprepared): 250 Calories, 1.5g Sat Fat, 570mg Sodium, 6g Sugars." "Per 3 Oz: 270 Calories, 2g Sat Fat, 720mg Sodium, 4g Sugars." 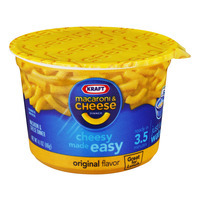 "Per 3.5 Oz: 310 Calories, 3g Sat Fat, 980mg Sodium, 4g Sugars." 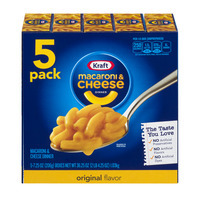 "Per 3.5 Oz: 310 Calories, 2.5g Sat Fat, 940mg Sodium, 4g Sugars." "Per 3.5 Oz: 320 Calories, 3g Sat Fat, 740mg Sodium, 5g Sugars." 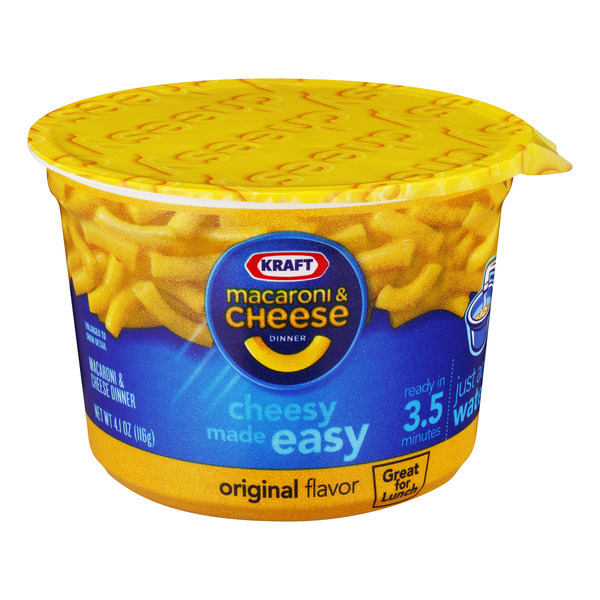 "Per 3.5 Oz: 320 Calories, 3g Sat Fat, 900mg Sodium, 3g Sugars." 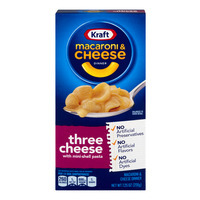 "Per 3.5 Oz: 320 Calories, 3.5g Sat Fat, 920mg Sodium, 3g Sugars." 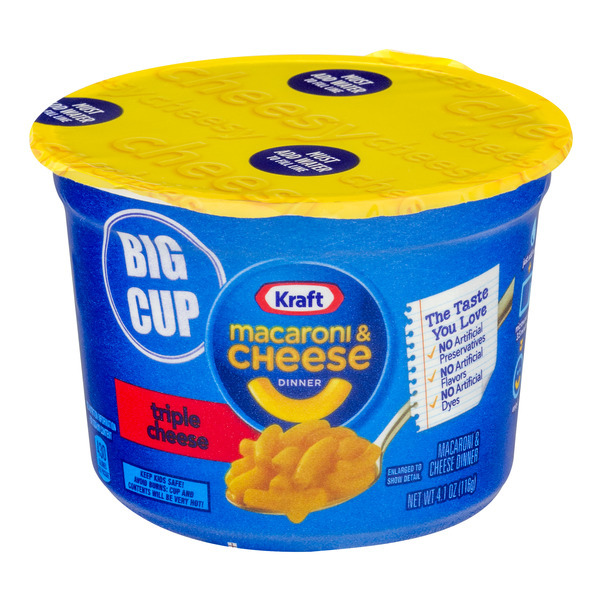 "Per 3.5 Oz Serving: 290 Calories, 2g Sat Fat, 900mg Sodium, 6g Sugars." "Per 1/2 Box (Unprepared): 250 Calories, 1.5g Sat Fat, 550mg Sodium, 6g Sugars." 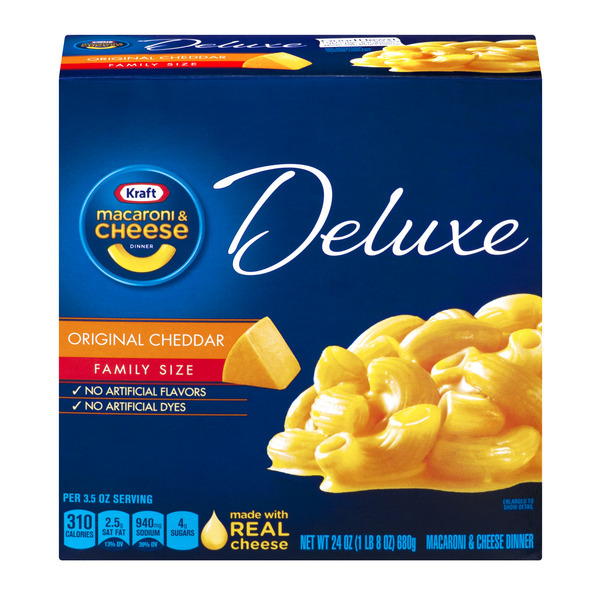 "Per Pouch: 230 Calories, 2.5g Sat Fat, 540mg Sodium, 6g Sugars."